Protect your hanging garments from dust by stitching up stylish, monogrammed dust covers. 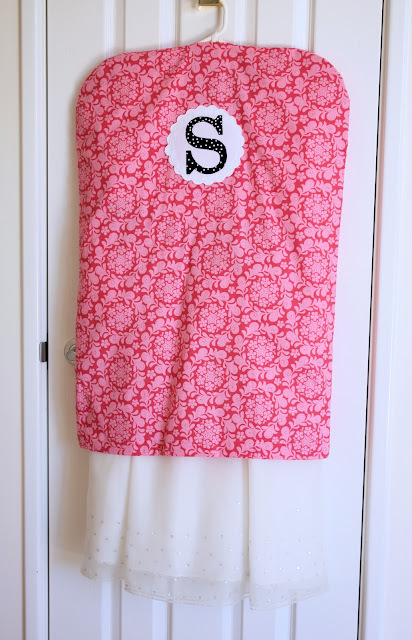 The mother/daughter team at A Spoonful Of Sugar shares instructions for stitching up a quick, personalized dust cover in this tutorial. This simple project is perfect for adding your own touch! Customize your dust cover by adding a monogram, lettering, or a design with machine embroidery. Or, use your BERNINA Designer Plus Embroidery Software V6 software to create a custom applique to make a one-of-a-kind dust cover. Click here to get the Dust Cover Tutorial from A Spoonful of Sugar.